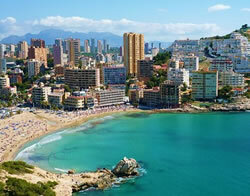 Teaching English in Spain is perfect for ESL teachers seeking culture, history, warm weather, and excellent cuisine. The peak hiring time for people interested in teaching English in Spain is usually September or October and again in January. Spanish schools operate on a similar schedule as their North American counterparts and most students have the summer off. Finding a teaching job in the summer is probably harder than any other time of the year. With school being out for the season, summer camps may be an English teacher's best summertime employment option. The Spanish education system is provided by a hybrid of public and private schools. It is estimated that 30 percent of Spanish children attend private schools, while the others go through the public school system. Children are required to attend school from ages six to 14. Once students reach the age of 14, they are able to continue their education (depending on how good their marks are), or can receive a certificate and leave school. The curriculum at a Spanish school is taught in the Spanish language, which can make it challenging for ESL teachers to find work. There are more jobs teaching English in private schools than there are in public schools. Some ESL teachers find teaching private English lessons to be a better path than teaching in-school. ESL teachers often find that they can make more money teaching in a one-on-one setting than compared to a classroom environment. A large part of teaching private lessons is marketing to find prospective students. It is best to hang up posters around town, talk to other teachers, and use the Internet to advertise. The average hourly rate for private tutoring ranges between 10 - 20 Euro. ESL teachers under contract with an English school should verify with the supervisor that they are allowed to teach privately. This is usually outlined in an ESL teacher's contract and breaking this rule could lead to dismissal and removal of any Spanish visas. 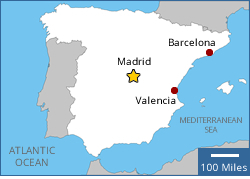 Another option for some English teachers in Spain is to take a live-in ESL teacher position. There are some families in Spain looking for a private English tutor to come live in their home and give one-on-one English instruction to their children outside regular school hours. Some of these positions are paid and some are volunteer jobs; both can be great ways to begin a teaching experience in Spain. With so many people applying for positions in popular peak hiring months such as September and January, people ignore the summer season. Most schools in Spain operate on a similar schedule to American schools; therefore, many Spanish students do have a summer vacation. Numerous private schools teach throughout the summer months and this is a high turn over time for ESL teachers in Spain. Some schools offer additional programming in the summer months to attract students who normally use the summer as a break; this is another good way to get into an English school in Spain. At one time, Spanish schools were full of American and Canadian English teachers. Now, with the amount of paperwork and red tape it takes to get work visas, these numbers have gone down quite significantly. One principle resource for Oxford Seminars' graduates is to make use of their Job Placement Service. All graduates of the TESOL/TESL/TEFL certification course have access to a team of Job Search Advisors who will assist teachers with finding teaching positions internationallly. 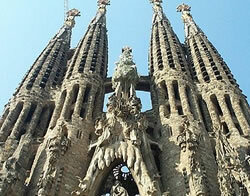 There are also other resources to help in the search for an ESL job in Spain. For teachers still living in North America, the best place to search is the Internet. Using the internet offers the ability to translate listings in Spanish to English, and there are plenty of sites that offer job postings for ESL teacher positions. In addition to checking out job search web sites, ESL teachers can look for work in some of Spain's many newspapers. The following online publications are written in Spanish, but can easily be translated to English with Google Translate. Many find communicating with large international schools to be an excellent avenue toward finding a job. These schools offer children a chance to have an English curriculum whilst living in a Spanish environment & culture. Please note that many international schools will require state teaching credentials in order to consider your application. Here are some examples of international schools for teaching English. Remember these schools receive a large number of applications, so when contacting them, be sure to stand out from the crowd. Since 1962 this non-profit school has been teaching Spanish children from pre-kindergarten to Grade 12. The American School of Barcelona centers their lessons on the American public school curriculum with some local Spanish culture added. Most of the school's staff is American and they do employ ESL teachers under contracts. The school is located in Esplugues, a small town on the outskirts of Barcelona. The International College Spain is an English school for children from the ages of 3 to 18. Lessons are primarily taught in English with Spanish and French taught as second languages. The student population at the International College Spain is very diverse, with students coming from all around the world. The teaching staff is almost equally diverse, with teachers coming from 25 different nations including the United States. The Internet is a great source of information for any type of research, including working as an English teacher in Spain. The best way to find information is to read about the experiences others have had teaching in Spain. Please note that these are merely examples of the resources available and they may not suit individual teaching needs. - Learn as much Spanish as possible before moving to Spain and write out some Spanish cheat sheets or commonly used phrases. - Save up some money before leaving, for travel, rent, and other living expenses. Talk to a financial/banking advisor about how personal finances can be managed while away. - Remember, adapters will have to be purchased for any electronic device brought to Spain. If it's not really needed, leave it at home. Americans, Canadians and non-EU citizens may find the experience of getting through the necessary red tape to work in Spain quite time consuming. Since 2006, citizens of the European Union have been allowed to work in Spain with little paperwork. For those ESL teachers from outside the EU, teaching English in Spain is a much harder task, as they will need to get a Spanish work permit and a visa. The first thing needed to start working in Spain is a Spanish work permit. A work permit is actually a lot different than a visa. The work permit is a government-issued document which gives Spanish companies permission to hire a citizen from outside the EU. The Delegacion Provincial del Ministerio, de Trabajo (Ministry of Labour) will base their decision on the candidate's experience and by determining if the position applied for could be equally filled by a Spaniard or an EU citizen. The company must prove that there are no suitable candidates from Spain and the European Union to fill the job as well as the applicant can. It is common for citizens of Latin American nations to get extra consideration during this application process. It is suggested that future English teachers in Spain contact a lawyer if possible and get some help with the work permit application process. There are different types of Spanish work permits depending on what the applicant's needs are. They are broken into two main groups: permits for people moving to Spain to work at a job (like ESL teachers), and foreigners moving to Spain to be self-employed (perhaps a full-time English tutor). - Type A Spanish Work Permit - These permits are for people interested in working mostly seasonal or contract work. The maximum time spent in Spain with this permit is nine months. - Type B Initial Work Permit - Issued to people interested in working in one particular field or in one defined area. These permits will allot its user a one-year stay in Spain. - Type B Renewed Work Permit - When a Type B permit ends, the foreign resident can apply for an extension called a Type B Renewed Work Permit. The extension can last up to two years. - Type C Work Permit - Once a Type B permit has expired, the foreigner could be eligible for a Type C Work Permit. This extension allows the person to work in any profession throughout Spain. - Type D Initial Work Permit - The foreign worker must work in one profession for a maximum of one year. The permit can have a geographical limitation that only allows the person to work in one area. - Type D Renewed Work Permit - In most cases, this extension of a Type D Initial Work Permit allows the worker to do any job they want. It is possible that the person may have restrictions concerning what kind of work they do and where they can live. This permit lasts for a maximum of two years. - Type E Permit - Once the Type D Renewed Work Permit expires, the person has the option of applying for a Type E Permit. This permit allows its holder the opportunity to work any job they desire in any location. This permit can last up to three years. After receiving a work permit, ESL teachers are one step closer to teaching English in Spain. However, they will still need to get a Spanish visa. ESL teachers need to decide what Spanish visa is the most suitable. There are basically three types of visas in Spain: a transit visa, a temporary stay visa, and a residence visa. - Transit Visa - This Spanish visa is meant for people who are just passing through. The Transit Visa is given to foreigners passing through the ports and airports of Spain. When holding this visa, travelers can spend up to five days in Spanish territory. 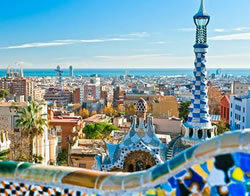 - Temporary Stay Visa- This visa is meant for people interested in staying for more than a vacation in Spain. This visa will last for up to three months. The temporary stay visa comes in three different forms: visas for groups having a short stay, diplomatic or prominent person visas, and visas for studying in a Spanish school. - Residence Visa - Most teachers coming to Spain to teach English are interested in gaining a Spanish Residence Visa. This visa expires after one year and can be renewed for an additional two years. If the person still wants to remain in Spain after a total of three years, they can apply for a Permanent Residence Visa. Having a Permanent Residence Visa means that its holders can renew the visa an endless amount of times. Residents must renew this visa every five years. After filling out the Spanish Work Visa application, ESL teachers should travel to the closest Spanish Consulate office (look at the list below) and make an appointment. All of the applicant's paperwork will be processed during this appointment. Make sure that all documentation is available for the appointment. After completing this process, there will be a few months of waiting before an applicant is informed of the status of their application. If the work visa is approved, it will need to be picked up in person at the Spanish consulate's office that the ESL teacher originally applied at. Calle Alta del Puerto Edif. "Los Sauces"
Consulate general offices are located in major cities and offer full services including consular services. Honourary consulates offer a limited range of services including consular services.